In a change form my normal obsessive note-taking, this year’s trip to Islay for Feis Ile, the “Festival of Malt and Music”, was surprisingly note free. I’m still trying to work out whether this was a deliberate choice, to step back and enjoy the experience in the moment without feeling a need to record it for posterity, or whether I just drank too much and lost the ability to write coherently. In the meantime I need to get the few notes I did scribble out of my notebook and brain and into the ether, so as to cement them in history rather than disappear slowly from my leaky head. 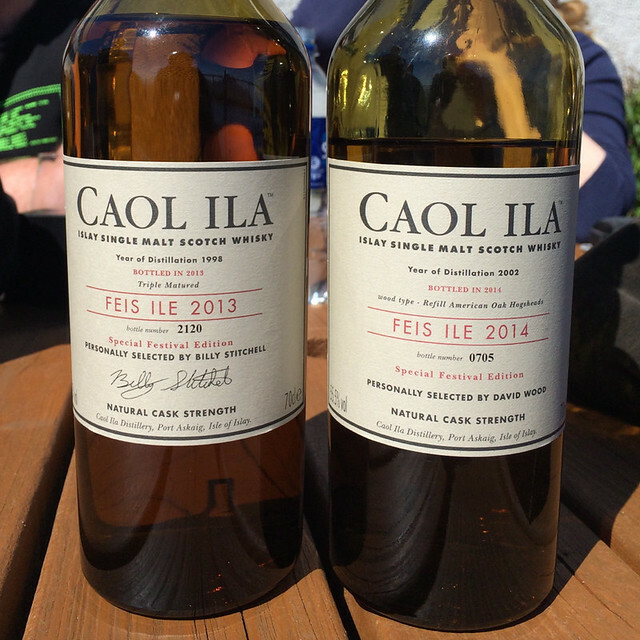 So, a pair of festival bottllings – Caol Ila Feis Ile 2014 and also last year’s, the 2013. Before this year’s trip, Caol Ila was the only Islay distillery that I’d visited. When I say visited, I mean ‘Joel and Neil from Caskstrength were giving me a lift to Islay airport and pulled in while we passed, ran me into the shop to buy whisky and then got me across the island in time for my flight’, which sort-of counts. My swag that time was the 2012 Feis Ile bottling, happily consumed during the 2012 Whisky Squad Christmas bring-a-bottle session, and I’ve not had a chance to try the more recent festival releases. The one thing we neglected to organise early enough for this year’s Islay jaunt was trips to the distilleries. Each distillery on the island has an open day, with associated events, tastings and other shenanigans, and we planned on popping along to those, but we didn’t book into any of the special events. In the end, we managed a single distillery tour, at Caol Ila, and got the only remaining slot that we could: 9.30am. Our tour slightly confused me, as minimal sleep, an early start and a tour guide whose twin sister works at Lagavulin, who I’d met when we’d visited a few days earlier and assumed was the same person until informed later, was enough to break my already fragile brain. However, after we’d finished admiring the distillery, significantly less of a factory than the rumours suggest, we sat out in the unexpected sun and tried a few whiskies. Offered the range, I jumped on the two that I probably won’t get a chance to try again: the two most recent festival bottlings. 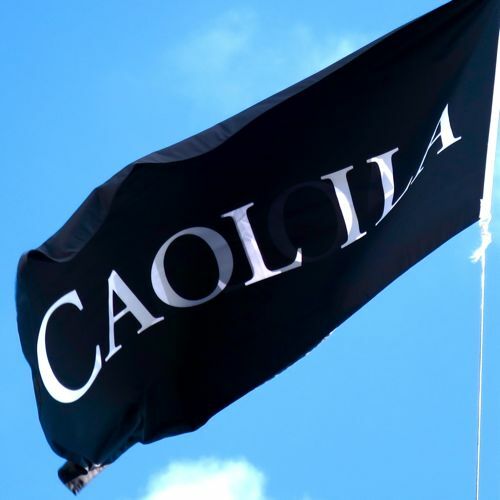 The 2013 bottling was selected by Billy Stitchell, outgoing distillery manager and Caol Ila veteran. He retired last year after over 40 years at the distillery, the fifth generation of Stitchells to work there. It’s a cask strength 15 year old whisky, matured in ex-bourbon casks, further matured in European oak before going back into ex-bourbon again for a finish. On the nose it was was quite fruity, with lemony touches and some waxiness. There was pine, sweet sponge cake and some raisins, as well as a gentle smokiness. On the palate it was quite soft and sweet, with very gentle smoke, lemon cream and icing sugar, although a zesty lemon oil note grew along with muddy peat. It finished with peat and fruit, turning slowly spicy with some darker fruity flavours. The 2014 bottling was chosen by the new distillery manager, David Wood. He went for something quite different, choosing 12 year old rejuvenated bourbon casks for his inaugural whisky. 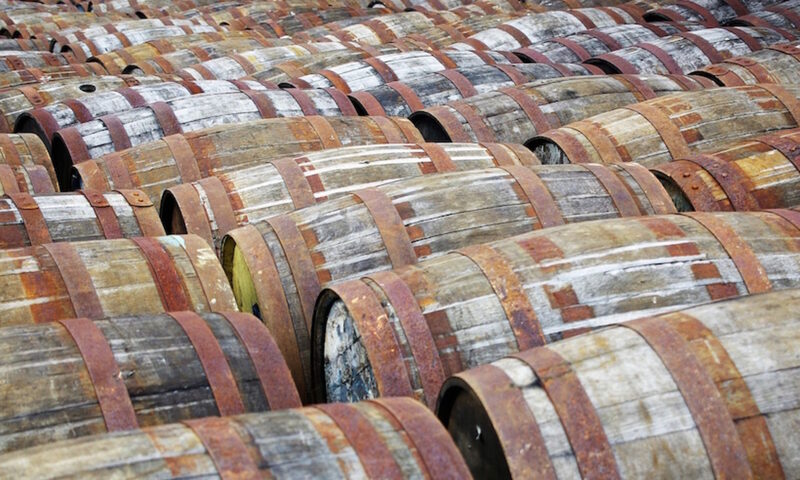 To rejuvenate casks, Diageo remove a thin layer of wood from the inside of the cask staves, before re-building, -toasting and -charring the cask. This removes a lot of the ‘spent’ wood, and both reveals and activates (thanks to the the toasting and charring) the layers underneath to give the cask some new life. It’s not the same as a brand-new first fill cask, but gives more oomph to the spirit than the cask would otherwise. On the nose it was earthy and very sweet, with some spikiness, fruity touches, sherbert lemons, ferns and burning pine needles. On the palate there was much more, with the pine needles from the nose coming back along with creosote touches. It was very sweet, with orchard fruit giving that some structure, although backed up by dark chocolate and rich earth. It was quite spicy, even after adding water, with lots of cinnamon. It finished with lemon cream, piney smoke, peppery spiced and sweet polished oak. As it lingered it got muddier, fading to damp peat. I preferred the 2013, finding the 2014 a bit spicy for my taste, but yet again it showed that the Caol Ila festival bottlings are often unfairly overlooked. While they produced 3000 of the 2013 edition, it was still (and may well still be as I write) available in the distillery shop, a year after purchase. The Lagavulin, which was very good in 2013 but maybe not quite as good as the Caol Ila, sold out in a few months. This year they’ve dropped the outturn to 1500 bottles, a number which I’d expect to sell out before next year’s festival. Fortunately, Caol Ila is relegated to the ‘drinking whisky’ section of the Feis Ile bottlings. Its price is fairly reasonable, as while other drams, such as this year’s excellent Lagavulin, cost the same or less, others are significantly more expensive and aimed squarely at the investment market. This sits right in the middle: a good whisky for a slight premium due to it being a festival bottling. I suspect that this year’s dram, as with last years, will sell through slowly at the distillery and will reward those who make the trek down the windy road from Port Askaig. If you’re looking for a festival bottling and you’re on the island, pop by. They might even have a bottle open to have a try. Jun Nunez liked this on Facebook. Imogen Forbes liked this on Facebook. Tim Forbes liked this on Facebook. Miika Lipiäinen liked this on Facebook.